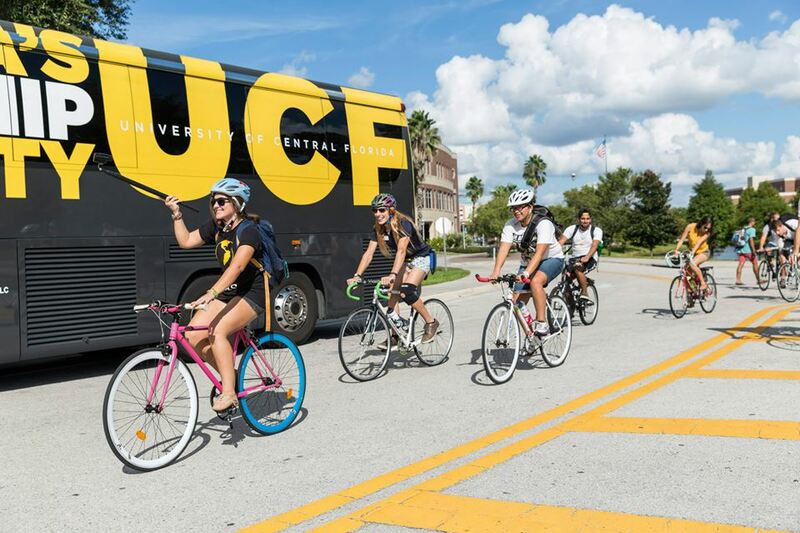 IDEAS For UCF is an integral part of IDEAS For Us serving on the largest college campus in the nation. Our branch is a registered club of UCF that seeks to make our campus sustainable as we educate, engage, and empower our students to become better stewards to the earth. We welcome you to join our club on campus by coming to our monthly Hive meeting or emailing us at [email protected]. 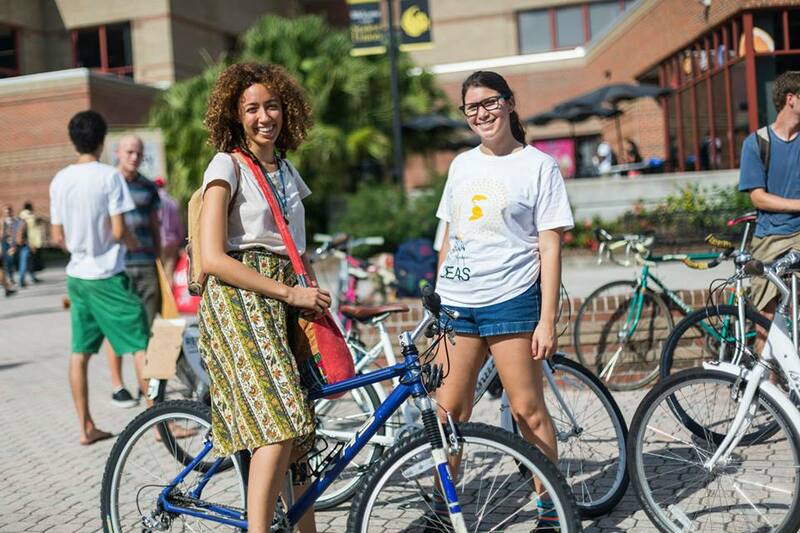 IDEAS For Us – UCF focuses on environmental advocacy through education, action and awareness. First, we work on environmental education by seeking to guide our fellow students on ways to live a wholesome and sustainable lifestyle. We also strive to engage students in environmental action through projects that are based on achieving the UN’s Sustainable Development Goals. Finally, we wish to create a space for students and teachers to collaborate and discuss on campus action projects that will bring us closer to our Carbon Neutral and Zero Waste goals. 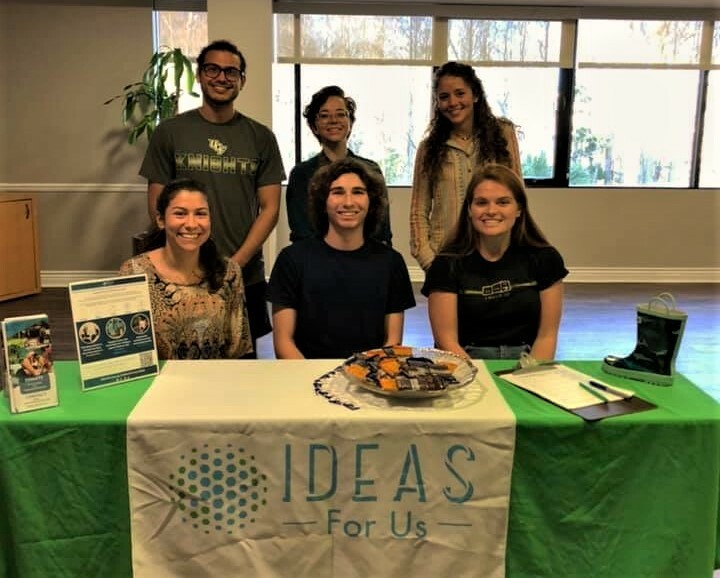 IDEAS For Us initiates a collaborative relationship between many like minded clubs and organization that work towards achieving sustainability. 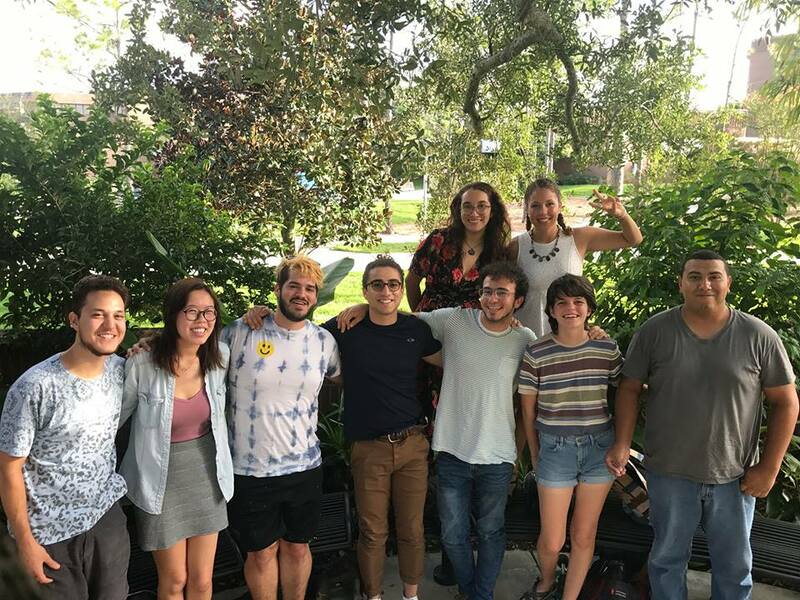 We have so far obtained symbiotic connections with UCF RSO’s such as Knights for Marine and Wildlife Conservation, Knights for Animal Rights, Pride Student Alliance, Campus Peace Action, and Global Economic and Environmental Opportunity. We also have connections with outside organization such as U-Konserve and ReGrained. IDEAS For Us is open to building a relationship with any group wishing to promote environmental advocacy. Thank you to our donors, Earth Easy. IDEAS For UCF hosts Hive meetings every 1st Thursday of every month at 5pm in the Student Union (room subject to change). All are welcome to attend and become an official member. Dues are $15 a year. Follow us on Facebook to keep up with all our updates. Objective 1: Build a wave out of water bottles. Goal 1A: Catch students attention with the wave and other signs in order to express the serious nature of plastic pollution. Goal 1B: Make the demonstration large and picture friendly so students will want to share it on social media. Objective 2: Hold up educational signs and pictures highlighting the waste problem and what can be done about it. Possibly give out water bottles to encourage waste reduction. Goal 2A: Educate students on the issue of plastic pollution and where it comes from. Goal 2B: Teach students how to live a feasible wasteless life, and possibly give them the means to do it. Objective 1: Put a wire on the curb side drains to halt waste from entering drains. Goal 1A: Reduce on campus waste runoff into water. Objective 2: Encourage and educate bystanders on waste reduction. Goal 2A: Encourage viewers who see the project to reduce waste in their own lives in creative and non conventional ways. Goal 2B: Stimulate an interest in passers by who see the project to look into waste and how serious the issue is. Encourage and involve students and faculty to pursue on campus sustainability together in creative and innovative ways. We wish to create a collaborative space for many different clubs and organization to all work towards environmental advocacy together. Finally, we wish to complete action projects that align with the United Nations Sustainable Development Goals on campus to will increase our sustainability, reduce our waste and carbon emissions, and show students the need and possibilities for action.